This is a religious service since Sukunahikonomikoto (the god of Awashima Shrine) taught sawing first time. 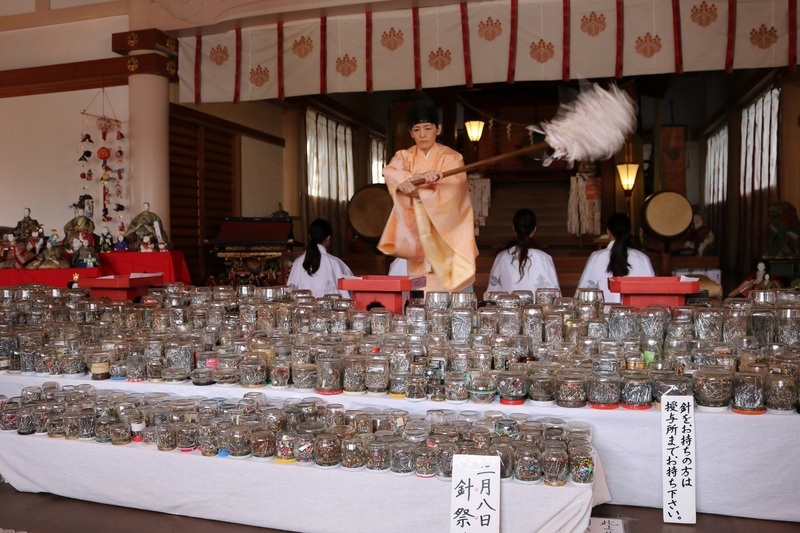 On February 8 every year, needles brought to the shrine through the year will be purified, then put them in the needles mound and buried in the ground. It is a ceremony to thank for the needle and to pray for the improvement of the sawing skills.